As part of its regular work with professionals in the fields of environment and health and safety, who are charged with implementing European legal requirements, legislation analysts Cedrec have conducted an extensive poll of more than 500 of its subscribers on whether the UK should remain part of the EU. Richard Clarke, senior EHS consultant at Cedrec, discusses the poll’s findings. This article was originally published in October 2015. The coming referendum on Britain’s membership of the European Union will be one of the big political issues of the next 12 months. Many people may be influenced on which way they vote in the referendum based on whether their jobs are dependent on, or influenced by, the EU. It is clear that every industry is in some way under the influence of the EU, whether through EU Regulations, which apply directly to UK law, or Directives, which mean our legal system is obligated to introduce UK legislation to bring in its provisions. Poll participants are drawn from safety, health and environment professionals, working across a range of industry sectors. The poll found that 54.2 per cent of respondents support the United Kingdom remaining as members of the EU, while 36.1 per cent would vote to leave. However, with nearly 10 per cent yet to decide, the outcome could still be in the balance. The results suggest a less than resounding level of support for Europe, from those dealing with the legal implications of membership on a daily basis. Comments from both sides of the debate will make claims for and against the effects of European membership, from the value of harmonised regulations to the risk of excessive red tape. But the question that stands out from the results is a simple one; does your job depend on European Union membership? Cedrec is well placed to understand to what degree EU Membership influences environmental and health and safety legal requirements. Whilst most professionals will be familiar with EU Regulations which are directly applicable in UK law, less may be aware that many UK Statutory Instruments exist because a European Union Directive obliged the UK government to introduce domestic legislation on given topic areas. Taking a specific example, the Energy Efficiency Directive has so far resulted in 28 individual UK Regulations, including the currently relevant ESOS requirements. 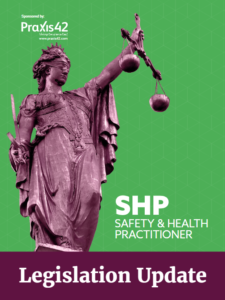 On many levels, it appears that the day to day responsibilities of environment and health and safety professional’s directly stem from legal requirements derived set by Europe. Whether such regulations would remain in force following a ‘Brexit’ is interesting to consider, especially as one of the main claims of the ‘Out’ campaign is based on the need to reduce regulatory burdens on business caused by Europe. There appears to be a trend of solid EU support from the environmental sector. The Conservative Party previously declared themselves part of the “greenest ever government”. However, this current government appears to be undermining many of the environmental policies in place. Such decisions may be at odds with EU level agreements to which the UK is party, which have pushed for energy efficiency targets with stringent deadlines. On the occupational safety side, the argument for a Brexit is further weakened. 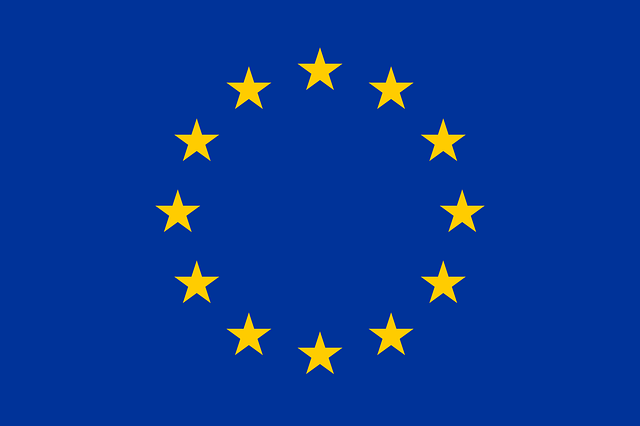 Under the Treaty of the Functioning of the European Union (TFEU), the UK ceded authority to the EU regarding the working environment to protect workers’ health and safety. This transfer of authority would be difficult to reverse, and even if it were to come about, the UK has come to expect certain rights and standard working environments in line with that of the EU. There is however another picture emerging. Developments in Europe suggest that a legal high tide watershed may have been reached, and that in future, Europe may become a strong force for deregulation. Internally in the EU, the ongoing Regulatory Fitness and Performance Programme (REFIT) is reviewing whether regulations can be removed, or consolidated. In 2014, a total of 53 legislative proposals were withdrawn, with EU REFIT reporting that since 2006, more than 6,100 acts have been replaced. Meanwhile, ongoing negotiations between Europe and America on the Transatlantic Trade and Investment Partnership (TTIP) agreement are setting the parameters for regulatory harmonisation which may well see many more legal requirements being revoked. The future for Europe may actually be one of driving simplified and reduced compliance requirements. In the event of a Brexit, the UK may choose to retain these regulations. It is still early in the debate about the UK’s future in Europe. However, environment and health and safety professionals should start to consider to what degree the European Union is responsible for creating the conditions that support their role; and what a future of the United Kingdom either in or out of Europe might look like. Hear Kizzy Augustin, Pinsent Masons LLP, discuss the effects of a Brexit on the health and safety profession at the exhibition in June. Register for Safety & Health Expo today. Thank goodness for the EU, without them the UK would be such an unsafe place and wouldn’t be grown up enough to produce regulation all on it’s own. Steven, I think you will find the UK have some of the best advocates of safety in the world.Putting down the UK’s ability isn’t something I’d go along with. I thought “an unsafe place” was more about staying within the EU. Most manufacturing in the far east does not meet current EU legislation on some many fronts that its hard to list them all and I have not seen that affecting what we buy from them or to use the food industries terms the air miles that are generated by having so much manufacturing located so far away. The basic issue is about how right-wing politicians – Gove, Grayling et al – would jump at the opportunity to de-regulate and remove the basic rights of workers to fair and decent working conditions, including safe and healthy workplaces. Outside the EU they would de-regulate asap. The arguments about working conditions outside the EU and levels of compliance within the EU are largely irrelevant. A vote for the ‘Leave’ campaign is a vote for 19th century working conditions. Or worse, with ‘Leave’ campaigner Jacob Rees-Mogg described as ‘the Honourable Member for the 18th Century’!! I can understand your feeling regarding family/financial security, although having followed this for so many years now, I actually believe there’s a very significant risk of economic ruin by staying in. (Whoops that sounds like ‘campaign fear’. Fully appreciate the views either way though. Let’s hope the outcome is good in the long term whichever way it goes. As for H&S, I don’t think there will be many radical changes. It would be nice to think the EU Regs might become only ACOPs and used to support the H&S at Work Act. Exactly Phil. You have hit the nail firmly on the head. We can all agree that the EU is the very definition of a neo liberal, beaurocratic, self interested cabal. However, if we leave we get Michael Gove, Boris and Nigel making laws about HSE. Somewhere between the sea, (deep blue), & devil anyone? Reading this article was unfortunatley a waste of time as I expected some sort of insight into the potential implications of Brexit to HSE professionals. The health and safety at work etc. Act is pre EU legislation and therefore I cannot see any substantive change in relation to health and safety.